Competitive swimmers have a high incidence of breaststroke-related knee injuries. The cause of the breaststroke swimmer’s knee, which is accompanied with medial pain of the knee joint, has not been clearly identified. The purpose of this investigation was to determine the biomechanical and anatomical factors which predispose subjects to injury. This study includes 60 breaststroke and crawl swimmers (16 ±3.2 years old) who have participated in 3–6-year-long swimming training in Tabriz city. The knee pain was evaluated with McGill’s pain questionnaire, and Q angle was measured with universal goniometry by knee radiography in standing position. The medial pain of knee joint increased significantly and the knee was only symptomatic when the swimmers performed the whip kick. Breaststroke swimmers were hardly able to complete training because of the knee pain. It is concluded that competitive training of breaststroke swimming for 6 months can cause exclusive injury and pain in swimmer’s knee. On the other hand, the result showed that there is a direct relationship between the swimmer’s Q angle amount and chance of the knee injury. This emphasizes a scrious consideration of Q angle states in breaststroke swimmers. 1. Bak K., Blue P., Olsson D. Injury patterns in Danish competitive swimming. 1989; 151 (45): 2982–2984. 2. Costill D. Handbook of Sports Medicine and Science Swimming. Oxford: Blackwell Scientific Publications. 1992. 3. Grote K., Lincol T.L., Gamble J.G. Hip Adductor Injury in Competitive Swimmers. Am J Sports Med. 2004; 32: 104–108. 4. Johnson J.E., Sim F.H., Scott S.G. Musculoskeletal injuries in competitive swimmers. Mayo Clin Proc. 1987; 62 (4): 289–304. 5. Johnson J.N. Competitive swimming illness and injury: common conditions limiting participation. 2003: 2 (5): 267–271. 6. Kawałek K., Garsztka T. An analysys of muscle balance in professional field hockey players. TSS. 2013; 4 (20). 7. Kennedy J., Hawkins R. Breaststroker’s knee. Physician and Sports Medicine. 1974: 2: 33–38. 8. Keskinen K., Eriksson E., Komi P. Breaststroke swimmer’s knee. A biomechanical and arthroscopic study. 1980; 8 (4): 228–231. 9. Knobloch K., Yoon U., Kraemer R., Vogt P.M. 200–400 m breaststroke event dominate among knee overuse injuries in elite swimming athletes. Sportverletz Sportschaden. 2008; 22 (4): 213–219. 10. Lin Y.F., Jan M.H., Lin D.H., Cheng C.K. Different effects of femoral and tibial rotation on the different measurements of patella tilting: An axial computed tomography study. 2008: DOI 10.1186/1749-799X-3-5. 11. Livingstone L., Spaulding S. OPTOTRAK Measurement of the Quadriceps Angle Using Standardized Foot Positions. 2002; 37 (3): 252–255. 12. McMaster W.C. Swimming injuries: An Overview. Sports Med. 1996; 22 (5): 332–336. 13. Melzack R. The McGill pain questionnaire: Major properties and scoring methods. Pain. 1975; 1: 277–299. 14. Nguyen A.D., Bolling M.C., Levine B., Schultz S.J. : Relationships between lower extremity alignment and the quadriceps angle. 2009; 19 (3): 201–206. 15. Omololu B.B., Ogunlade S.O., Gopaldasani V.K. Normal Q-angle in an Adult Nigerian Population. Clinical Orthopedics and Related Research. 2008; 467 (8): 2073-2076. 16. Peter W.R. Patellofemoral Arthralgia, Overuse Syndromes of the Knee, and Chondromalacia Patella. 1985; 31: 573–576. 17. Pollard H., Ward G., Hoskins W., Hardy K. The effect of a manual therapy knee protocol on osteoarthritis knee pain: a randomised controlled trial. 2008; 52 (4): 229–242. 18. 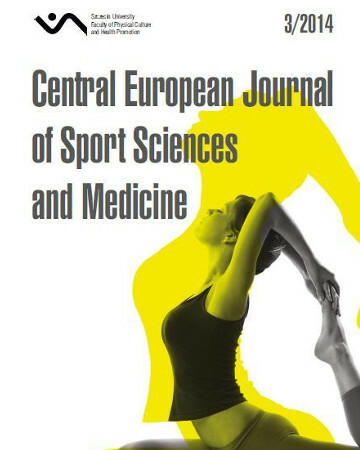 Rodeo S.A. Knee pain in competitive swimming. 1999; 18 (2): 379–387. 19. Rovere G.D., Nichols A.W. Frequency, associated factors, and treatment of breaststroker’s knee in competitive swimmers. 1985; 13 (2): 99–104. 20. Sandra J. The Independent and Interactive Effects of Navicular Drop and Quadriceps Angle on Neuromuscular Responses to a Weight- Bearing Perturbation. J Athl Train. 2006: 41 (3): 251–259. 21. Schmitt L.C., Fitzgerald G.K., Reisman A.S., Rudolph K.S. Instability, Laxity, and Physical Function in Patients With Medial Knee Osteoarthritis. 2008; 88 (12): 1506–1516. 22. Stalker R. Patellofemoral Joint Disorders. 1987; 33: 631–635. 23. Stein C., Mendl G. The German to McGill pain questionnaire. Pain. 1988: 32: 251–255. 24. Stulberg S.D., Shulman K., Stuart S., Culp P. Breaststroker’s knee: pathology, etiology, and treatment. 1980; 8 (3): 164–171. 25. Vizsolyi P., Taunton J., Robertson G., Filsinger L., Shannon H.S., Whittingham D., Gleave M. Breaststroker’s knee. An analysis of epidemiological and biomechanical factors. Am J Sports Med. 1987: 15: 63–71. 26. Waryasz G.R, McDermott A.Y. Patellofemoral pain syndrome (PFPS): a systematic review of anatomy and potential risk factors. 2008: DOI 10.1186/1476-5918-7-9.